There’s more to Knoxville than college football. Nestled in the foothills of Great Smoky Mountains National Park, the city itself is often overlooked as an adventure destination, lost in the limelight of America’s most visited national park. But you might be surprised by what this Southern metropolis has to offer in the way of outdoor adventure. In the heart of East Knoxville lie the headwaters of the Tennessee River, a 652-mile waterway (the largest tributary of the Ohio River) born from the confluence of the French Broad and Holston Rivers. Along the riverfront and tucked into the folds of the city are 99 city and county parks, 25 trail systems, and more than 50 miles of greenways. 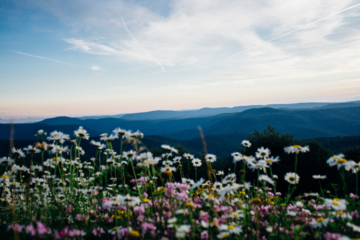 Just over an hour’s drive from the city are some of east Tennessee’s most prized natural areas like the Big South Fork National River and Recreation Area, Frozen Head State Park and Natural Area, and Obed Wild and Scenic River. But perhaps even more unique than the city’s close proximity to recreational resources is the vibe of present-day Knoxville, a feeling of progression and unity that can most aptly be described with one word: collaboration. Kellogg is a mover-shaker. After coming to Knoxville in 2002, Kellogg realized the city had all of the necessary ingredients to become an outdoor destination but lacked the connectivity. Parks were already in place, trails had already been built, but the resources, and the community that used them, were disjointed at best. Then, in late 2006, Knoxville mountain bike enthusiast Randy Conner re-formed the AMBC, which had dissolved nearly a decade prior, and helped spur a new wave of energy in trail advocacy. 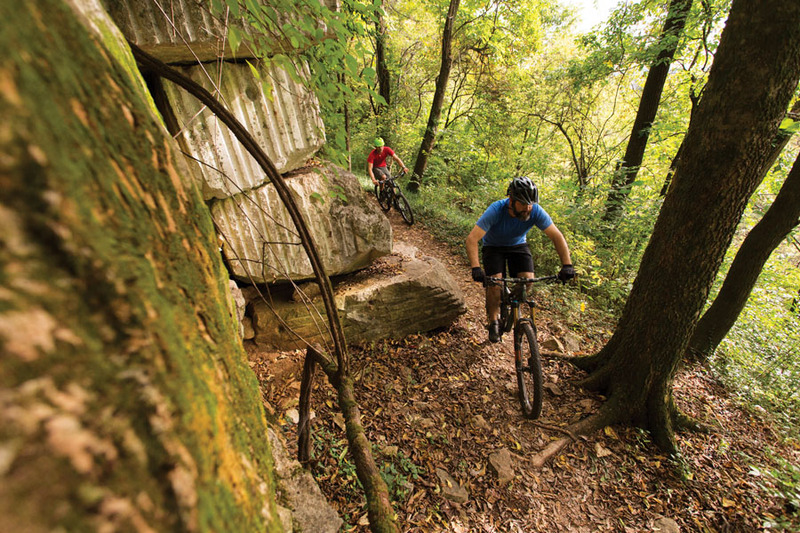 “Our main goal was to expand trail efforts and trail access to everybody,” says Brian Hann, AMBC’s second president and another key player in Knoxville’s trail movement. In the decade since AMBC’s rebirth, the club has certainly made good on their mission. In 2012, the city of Knoxville opened the Urban Wilderness, a 1,000-acre swath of land that houses over 40 miles of multi-use trail. Its boundary is defined by the South Loop, a 12.5-mile trail (designed and built by the AMBC) that connects Ijams Nature Center, Forks of the River Wildlife Management Area, Anderson School Trails, William Hastie Natural Area, Marie Myers Park, and private land. Hann himself has an easement on his 116-acre property, which allows public access to the trails (and pump track) in his backyard. Though the Urban Wilderness seems like the pinnacle of success for a volunteer-run, grassroots club of 250-some members, the AMBC is just getting started. The club recently received a $100,000 Bell Built grant to construct a high-caliber bike park (check out the #DowntownDownhill feed) on 100 acres of land donated to the Legacy Parks Foundation, a non-profit that heads most of the outdoor initiatives in Knoxville including, but not limited to, Outdoor Knoxville (outdoorknoxville.com), Knoxville’s Urban Wilderness, and Outdoor KnoxFest. “The city right now is poised to make some huge strides,” says Hann, which is thanks in part to a cooperative local government that values the voice of the Legacy Parks Foundation and the blood, sweat, and cases of beer AMBC has put into constructing the city’s trail system. By the beginning of 2016, AMBC expects to have an additional six to eight miles of trail open, which includes the Bell Built bike park. The park will feature everything from beginner-friendly cross-country trails to double black diamond gravity trails. Though high-elevation mountains surround the city of Knoxville, summertime can be especially humid and hot. Even a short walk in the park will leave you soaked and sweaty. Unless you intend to plan your vacation around Knoxville’s watersport activities, come in the winter when the days are warm (around 50 degrees) and the nights are cool and everywhere else in the Southeast is unbearably cold. It’s like Florida, without the palm trees. CLIMB: The Ijams Crag is a recently developed climbing area located in the heart of the Ijams Nature Center. There are currently over 10 established sport routes on the rock, and with moderate grades, quality rock, and easy access, this is a must-do if you’re in the city. BIKE: Rent a bike from Tennessee Valley Bikes ($40/day) and cruise the South Loop, a 12.5-mile trail that traverses the periphery of Knoxville’s Urban Wilderness. You’ll get the ultimate trail experience here—flowy and smooth to technical and tight. If it rains and you still want to get out and ride, the trails at Sharps Ridge Memorial Park are better when they’re wet and afford great views of Knoxville’s skyline and surrounding mountains. PADDLE: Whether you’re a beginner looking to hop on the flat waters of Mead’s Quarry or a more experienced paddler seeking adventure on the Tennessee River, there’s a SUP rental place for you. River Sports Outfitters runs a rental kiosk ($11/hour) out of the Mead’s Quarry parking lot. If you’re downtown, head over to Billy Lush Board Shop and grab a board ($60/day). There’s a put-in to the river just a quick walk from their main location in the Outdoor Knoxville Adventure Center, home to the Legacy Parks Foundation and a great starting point for all of your Knoxville recreation needs.